Do you want to get away with just your family? Would you like to learn skills in a private setting? Do you and your family love the open water? If so, then check out our services at Aquatic Adventures. We offer private swimming and scuba lessons in the towns of Wilmington, Wrightsville, Carolina, Topsil, Bald Head Island, and also Oak Island. 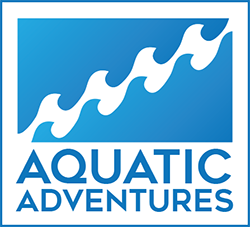 Aquatic Adventures not only teaches children and adults how to swim but we teach swimmers how to survive in the water. There have been many drownings every summer because children and adults are unaware of how to survive in the open water. We begin private swimming lessons with infinite classes with the mother and father. Private infinite classes teaches the parents how to teach their children how to blow bubbles, hold their breath and float on their back. When the swimmer reaches age two and above we teach them how to survive in the open water. We teach skills like treading water, dead man float, and floating on your back. The one thing that separates Aquatic Adventures private swimming lessons from any other program is giving each student the proper skills of how to survive in an open body of water. We teach in the Sound of Banks Channel in Wrightsville Beach on the South End by the Coast Guard Station. We believe at Aquatic Adventures that your relationship is the most important aspect. To build a trusting relationship takes time. If can build trust with your child and instill a level of confidence in them, learning these skills then becomes natural. We offer 1 hr swimming lessons which cost $50/hr per swimmer. We would love to help your children swim and survive! Swim/Snorkel is also another program we offer to swimmers and scuba divers. Swim/Snorkel offers students the opportunity to learn about what it takes to become a professional snorkeler along with learning the most efficient way to swim, and survive through the water. We offer 1 hr snorkel lessons which cost $70/hr per snorkeler. To bridge the gap between swimming and scuba diving, snorkeling is a fundamental concept of that transition. Snorkeling is a technique to be utilized if you run out of air while scuba diving on the surface of the water. Snorkeling allows you to keep your head down if the water is rough and allows you to make it back to the boat in an easier and more efficient manner than just trying to swim. We would love to help your children learn to snorkel! Life is better when you’re swimming.